When it comes to car colors, men apparently aren't a subtle bunch. Men prefer blazing bright car colors, according to a new study by auto sales and research site iSeeCars.com, which examined the color preferences of men and women. The top colors that men prefer are yellow and orange, while women's top preferences brightened up a little this year with teal and gold as their preferred colors. Beige, which was ranked second last year for women, dropped to sixth this year. Bright colors may impact more than aesthetics, as the study found that vehicles painted in men's top color choice -- yellow -- cost about $9,500 more than the typical price for teal cars, which are preferred by women, the study found. 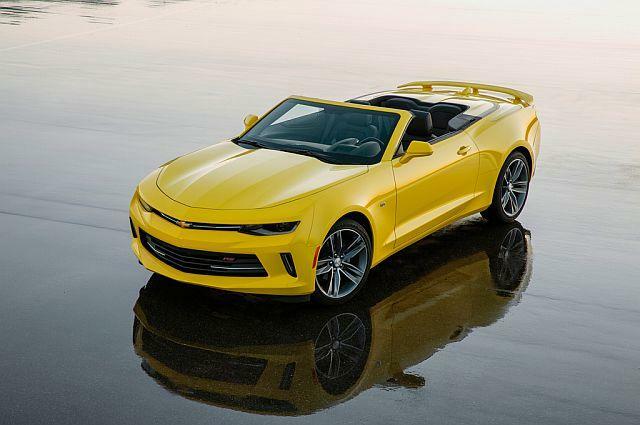 The bright colors liked by men tend to accompany flashy body styles such as sporty coupes and convertibles, which may help explain the price differences. For instance, convertibles made up only 1.9 percent of all cars in 2016, yet about 13.3 percent of yellow cars were convertibles. "If you compare prices for pre-owned cars, the average price for men's favorite colors is 22 percent more expensive than women's favorite colors. That number jumps to 86 percent when you look at the first-ranked colors: yellow and teal," said Phong Ly, CEO of iSeeCars.com. In dollar terms, the average used price of a yellow car was $20,601 versus roughly $11,000 for teal vehicles. "There's an interesting connection between gender preference for vehicle colors and body styles," Ly added. Women tend to prefer SUVs and minivans, which are produced with more teal and gold shades than on average, according to the study. Men's preferences for sporty, powerful cars and women's choice of more practical vehicles leads to a difference in price. Used cars painted in men's favorite colors cost an average of $18,196, while vehicles in women's favorite colors average $14,938. To get its results, iSeeCars.com screened 700,000 used car inquires on its website and almost 30 million used car sales from 2015 and 2016. The top colors signal shades men prefer by a large margin compared with women's preferences, and it is not necessarily the same as the individual color chosen most often by either gender. When it comes to actual car purchases, white remains the hands-down favorite, according to an annual survey by the paint company PPG Industries (PPG). White has remained the top choice since displacing silver in 2011. Black is second and silver third in the latest PPG report. Black is the third choice for men and silver is the third choice by women in the iSeeCars.com research. What's ahead in color trends? Blue is gaining speed among car shoppers, PPG said. A non-scientific observation of this thesis: I bought a blue car myself in 2015, and recently I have noticed much more same-color company in supermarket parking lots.